A wedding is the joining of two lives and two families into one. Other than the vows and readings there will be a moment in the ceremony for a gesture that symbolizes the joining of the two families. These are only suggestions. Basically anything that can be a symbol of two becoming one can be used. I have also heard brides talk about feet washing, releasing balloons and lanterns. 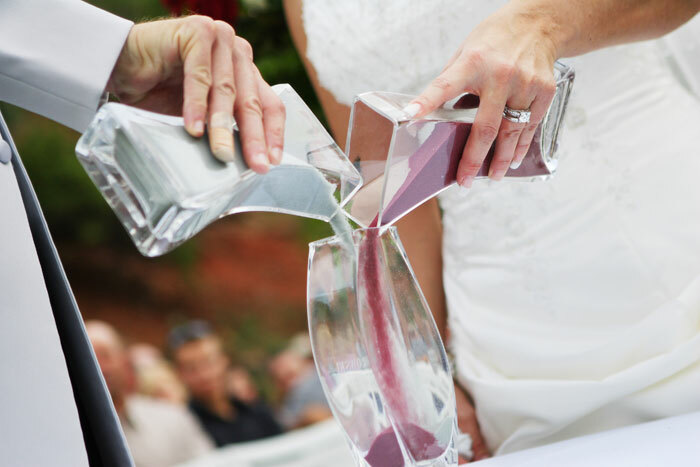 Others have put their own twist on the above ceremonies. For example, a chef couple used spices instead of sand in their ceremony. Just remember that it is your day and there is no wrong way to do it.